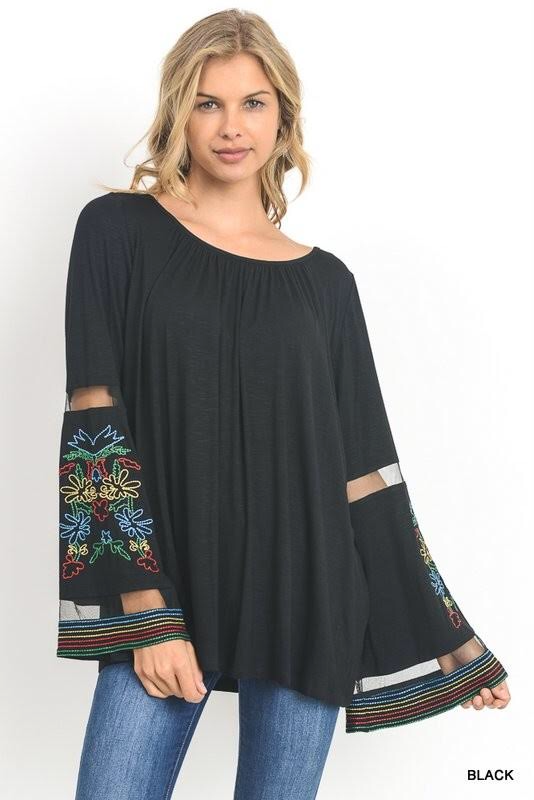 Flair Sleeve Embroidered top has mesh sleeves with a solid bodice in a tunic top that is packed with charm and soft comfort. 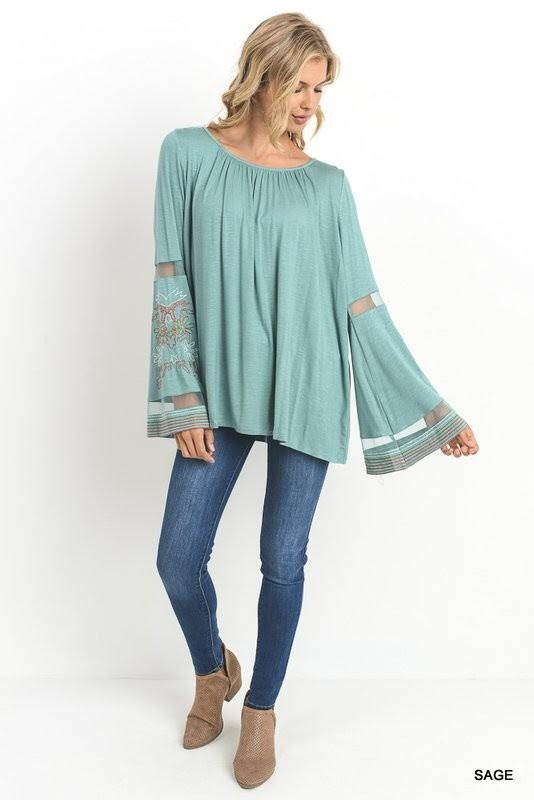 WIth a southwestern pattern in mocha solid, this top has turquoise detailing that serves as the perfect ensemble to an Arizona sunrise, or sunset. In black and sage makes for versatility and the rayon and spandex material provides style and comfort to dress up or down. Mix these rich colors with the deepest of browns or the white skinny jeans for a cool and collected look. Pair these tops with a full soft maxi skirt for an evening of dinner and dancing. 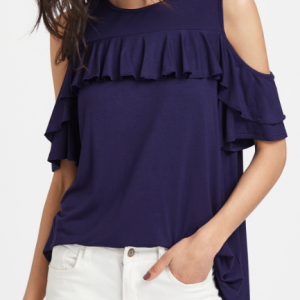 This flair sleeve embroidered top is versatile to wear from the work day to the play night. Imported.